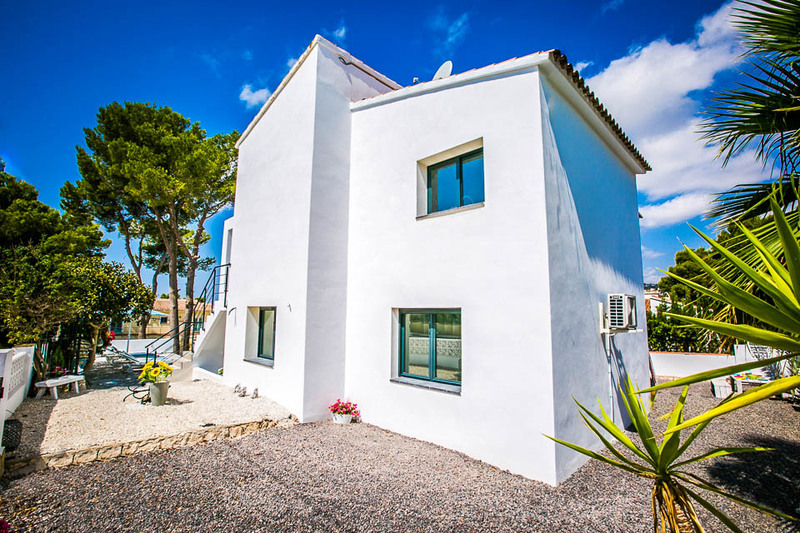 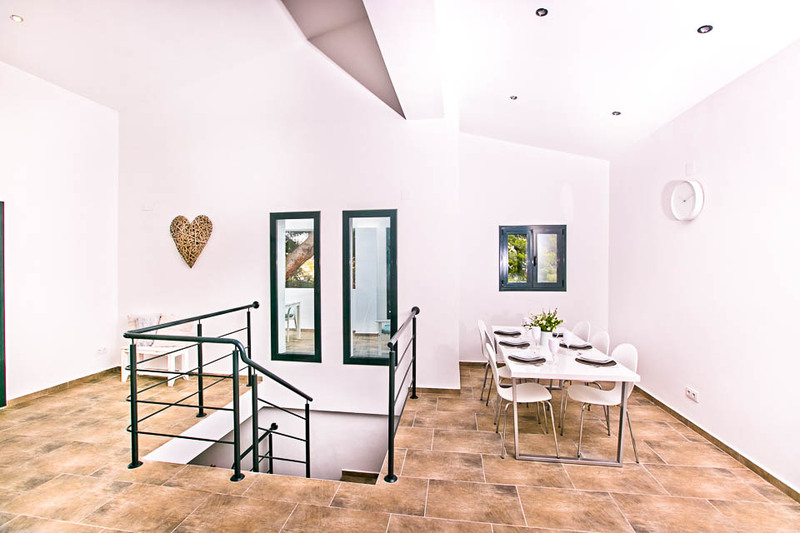 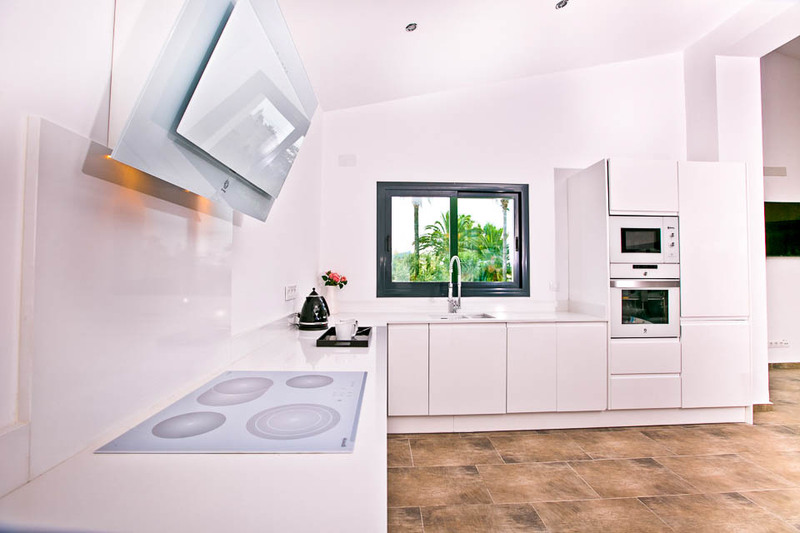 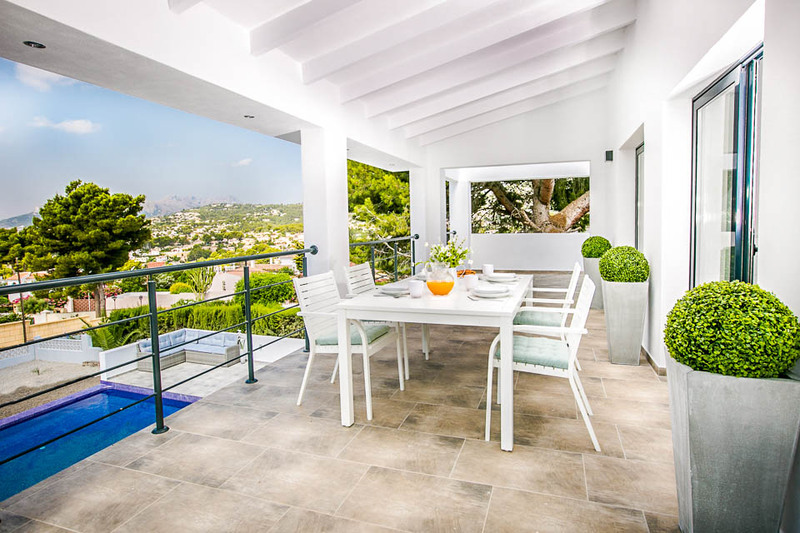 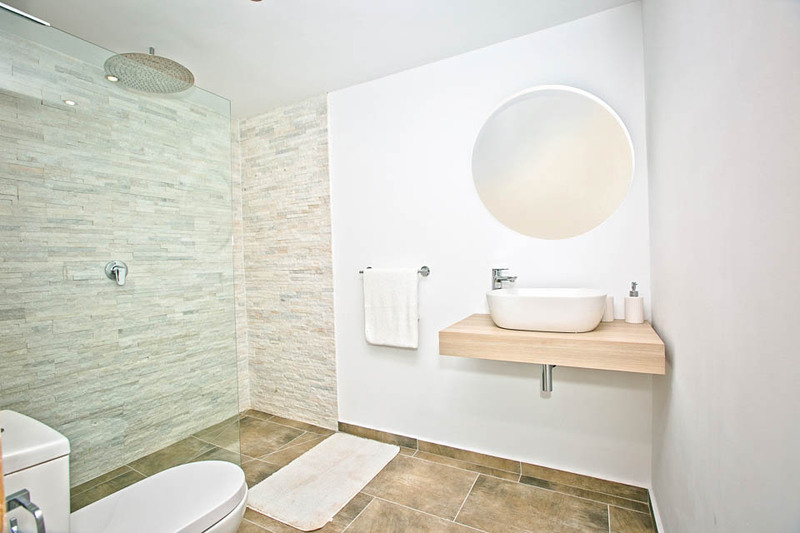 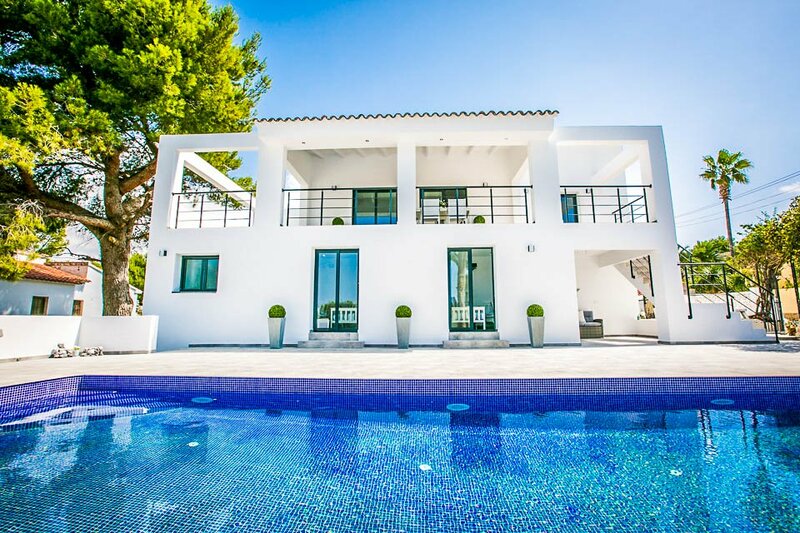 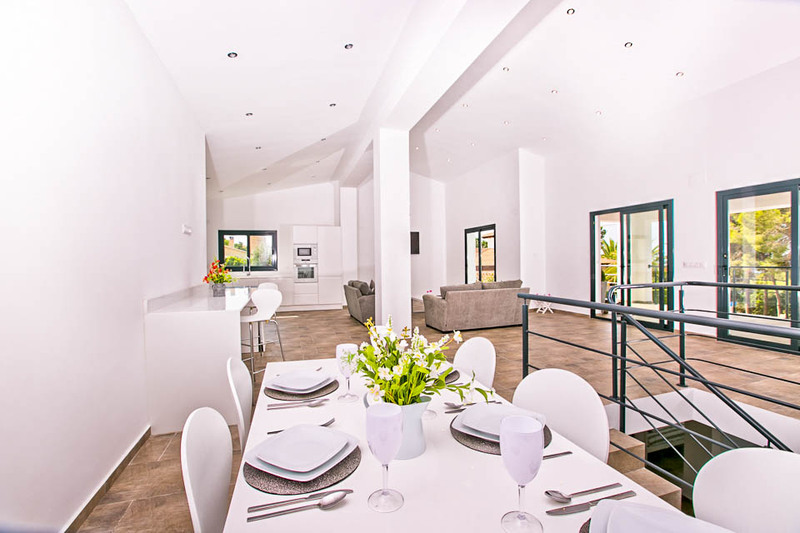 Resplendent in white both inside and out, the cool Villa Chela is a contemporary 5-bedroom villa, located next to Moraira's Ifach golf course. 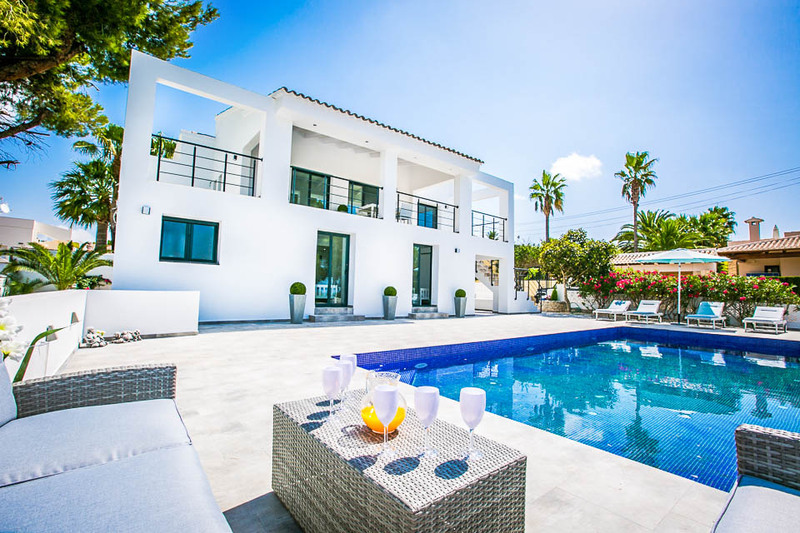 This ultra-modern villa with infinity pool is just a short walk from bars and restaurants in San Jaime, with the centre of Moraira itself a little over 2km away – accessible on foot via the nearby coast road. 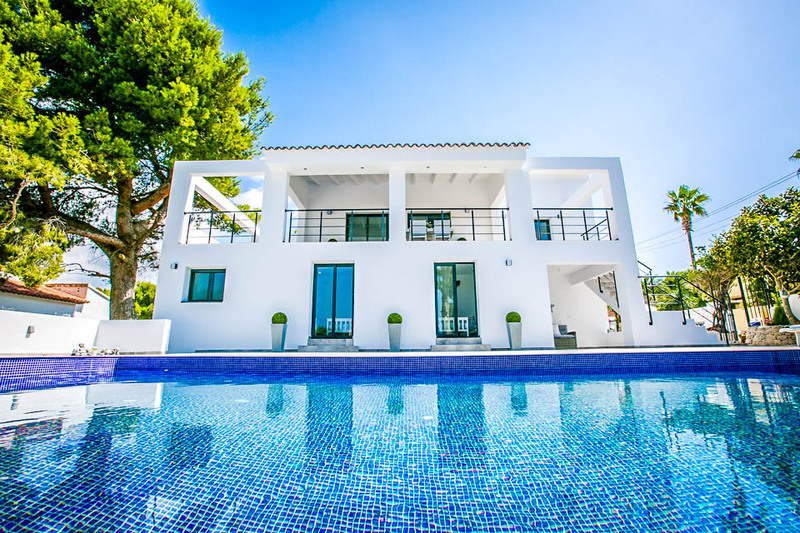 The south-facing villa is accessible via private gates, with steps leading up to the upper terraces which overlook the 10m x 5m pool. 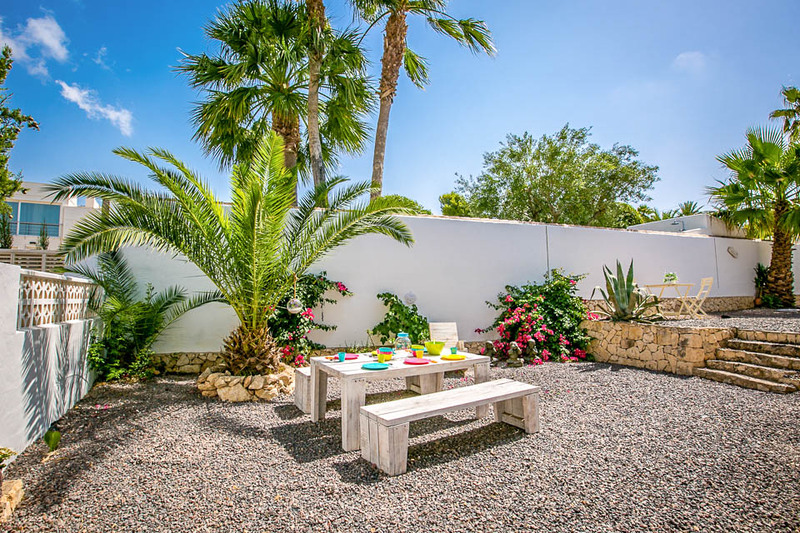 Spacious gardens are adorned with palm trees and pretty flowers. 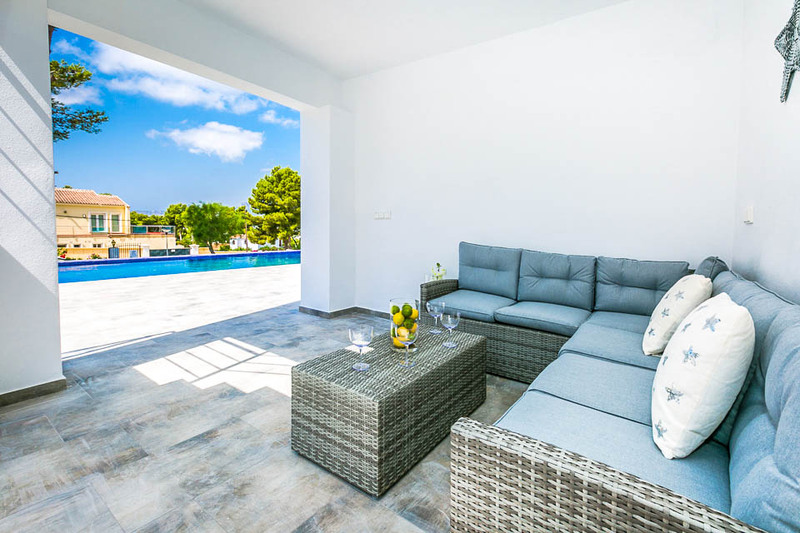 The areas around the pool feature six sun loungers, a pool table and a shaded seating area with sofa. 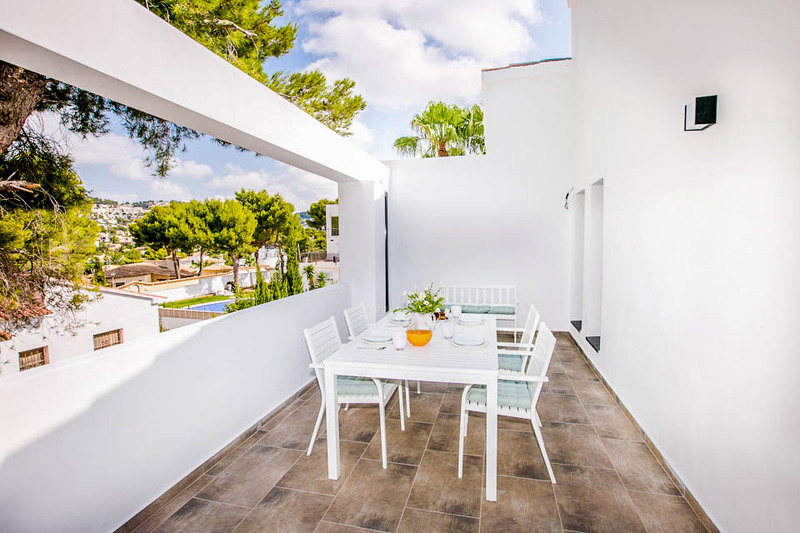 There was also a barbecue and covered dining area, perfect for an evening’s entertainment. 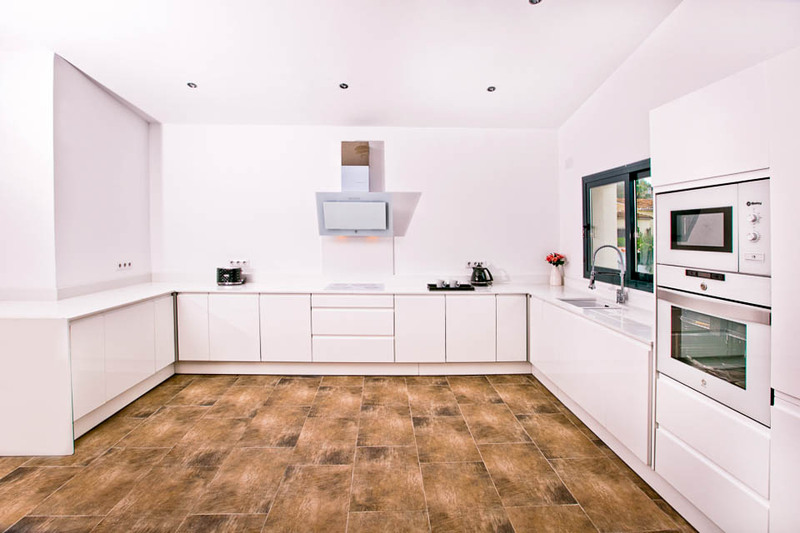 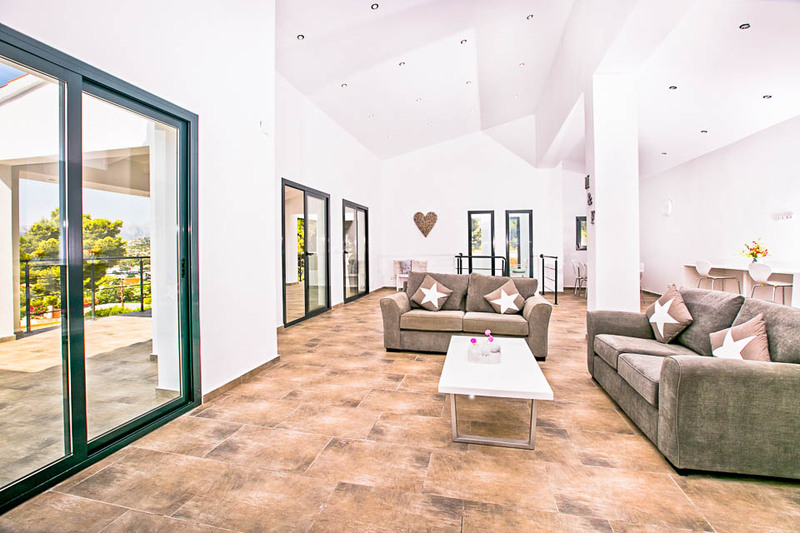 Inside, you have a large modern dining room, lounge and kitchen with electric hob, fan oven, fridge freezer, dishwasher, microwave and coffee machine. 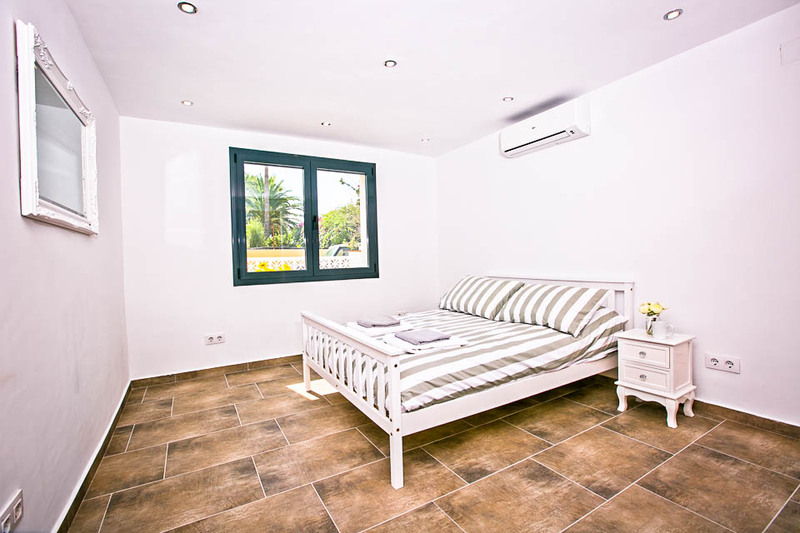 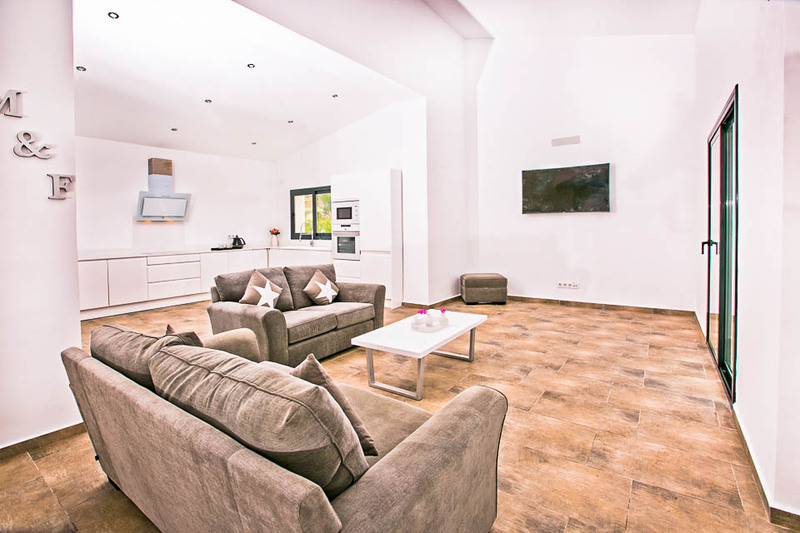 In the living area, there’s plenty of room to chill out, with a TV equipped with Freesat channels, a DVD player, and of course Wi-Fi throughout the villa. 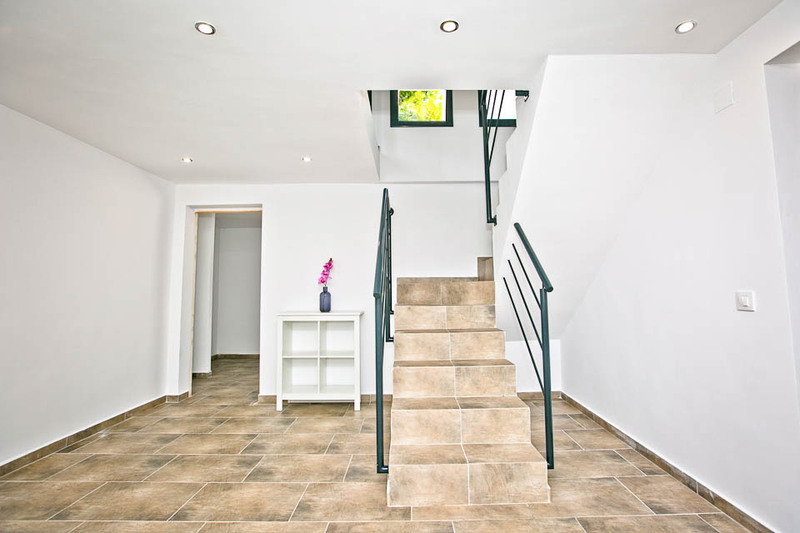 You take the stairs down to the five bedrooms on the ground floor, which include three doubles and two twin bedrooms. 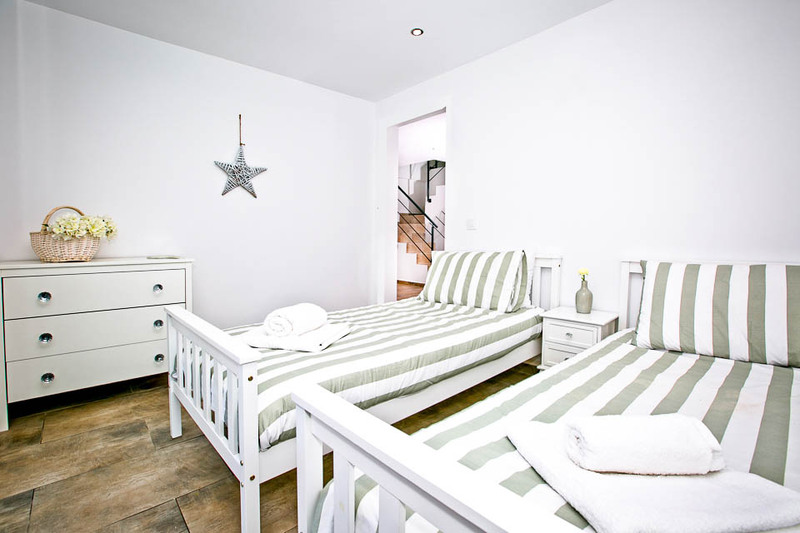 Two of the doubles have their en-suite bathroom, while the third features a king-size bed. 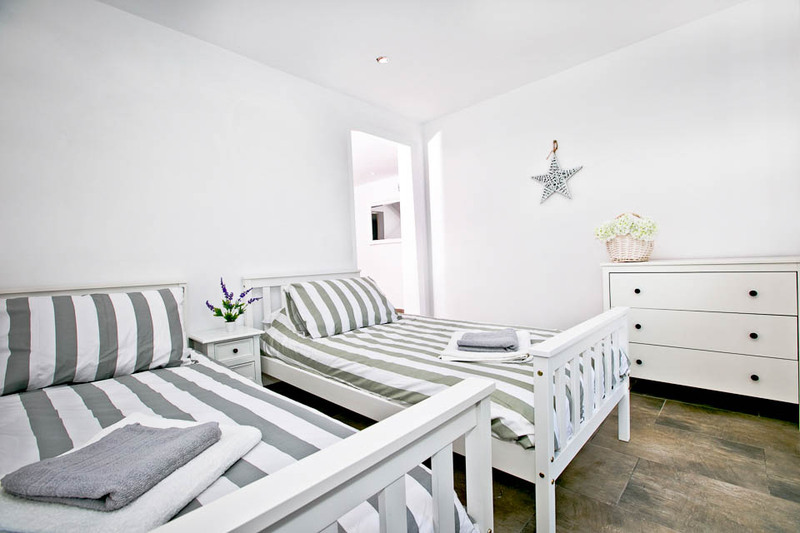 All of the bedrooms, including the twins, have built-in wardrobes and air-conditioning. 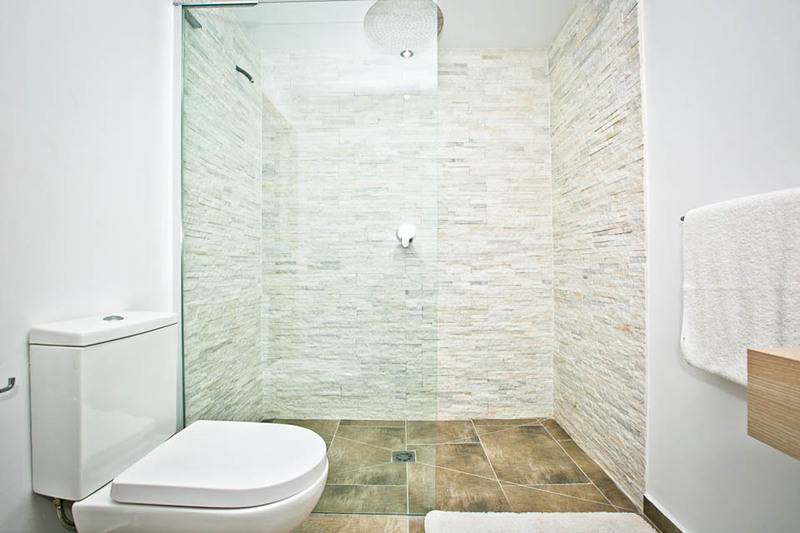 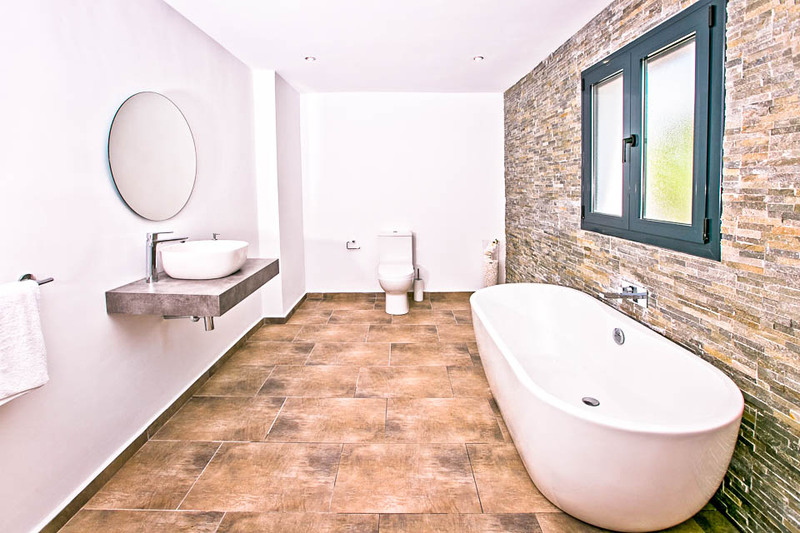 The three bedrooms which don’t have en-suites share a large and gorgeous main bathroom with contemporary, free-standing bathtub. 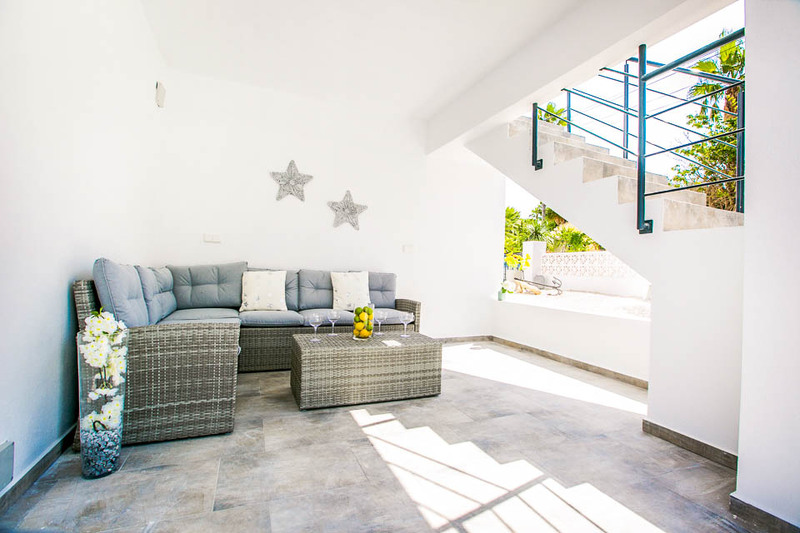 The villa features high-quality furnishings throughout, which add to a sense of luxury. 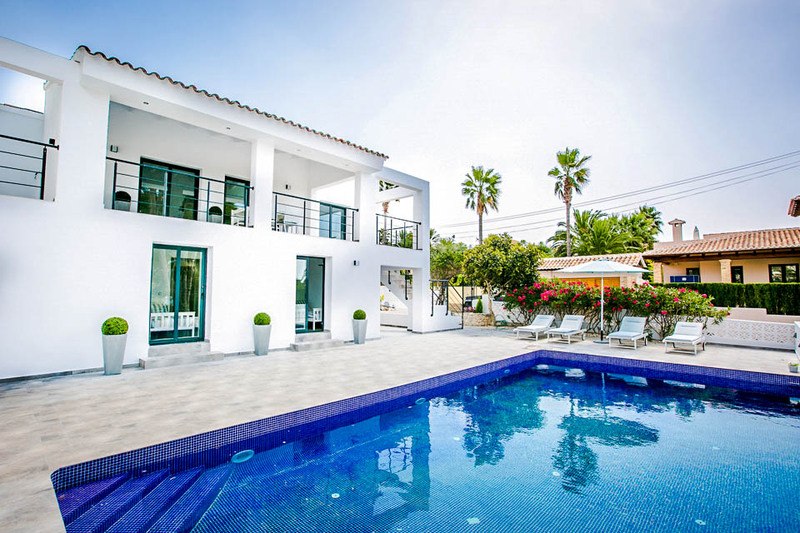 The location of Villa Chela is excellent if you want to get around mostly on foot. 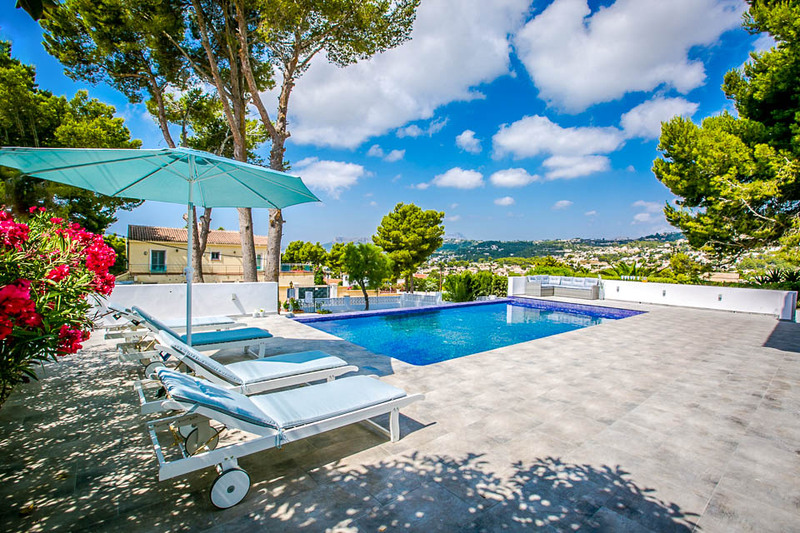 It’s easy to reach the nearest beach, supermarket, bar and cafés without the need to drive. 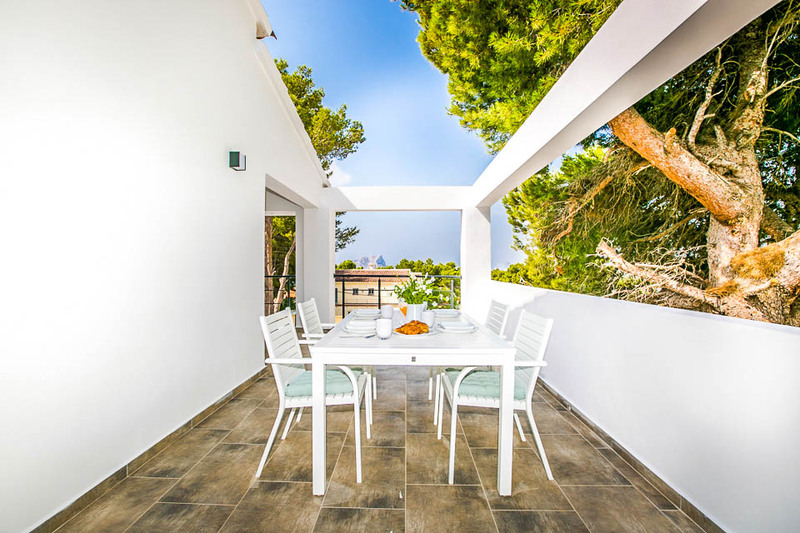 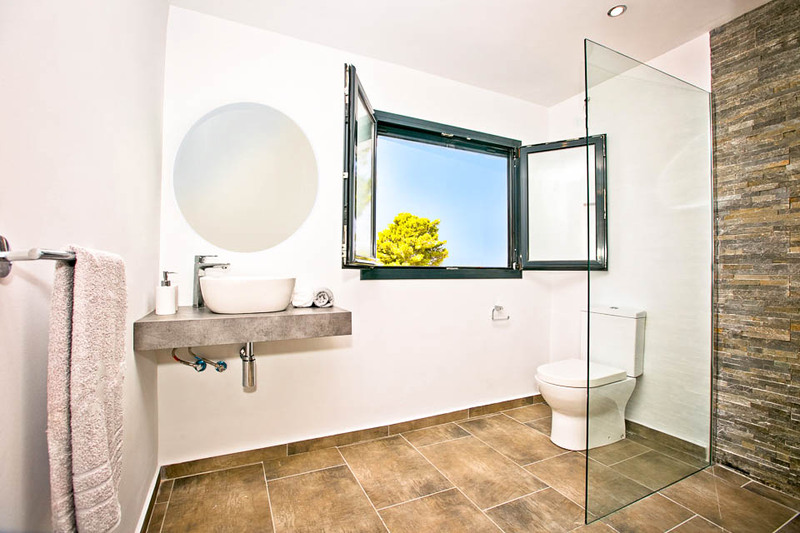 In Moraira town, you have a lovely marina as well as two Blue Flag beaches and a host of top-rated restaurants to discover, and it’s easy to drive to nearby Calpe, Jávea and Denia, among other picturesque destinations.